An enjoyable 5 days of the E-luminate Festival are now over. Thanks to Showave, Alessandra and Ashley of E-luminate, Queens College and Lucinda Price for some great pictures. 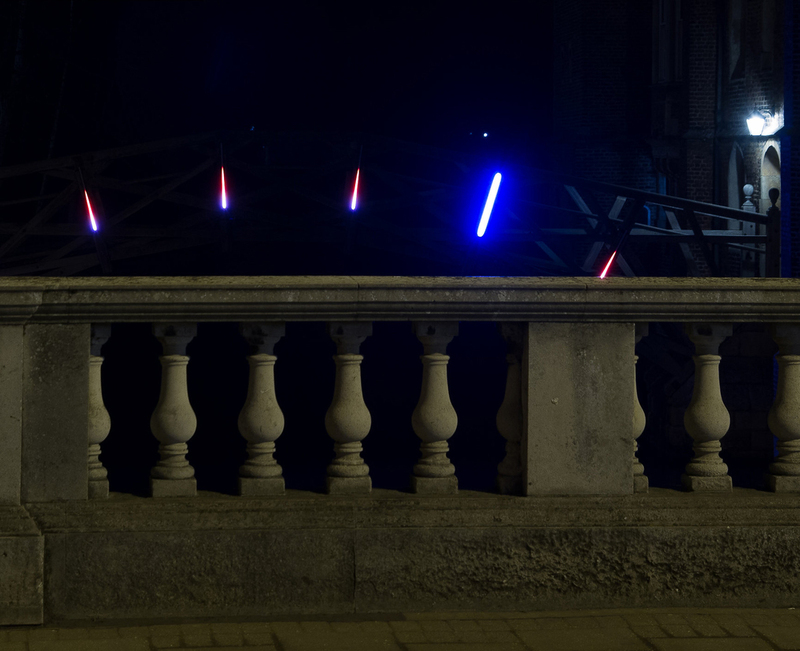 Crossing is an interactive light installation that dynamically illuminates the Mathematical Bridge in Queen’s College Cambridge, in response to the movement of people crossing Silver Street bridge. The lights enable onlookers to illuminate the beatifully simple geometry of the mathematical bridge, by their movement alone, directly engaging visitors and locals with the structure and the setting. The project is a collaboration between the Studio Of Cinematic Architecture, Showave, the E-luminate Festival and Queens College, Cambridge. Sneak preview of lights being installed by Showave and SOCA yesterday.